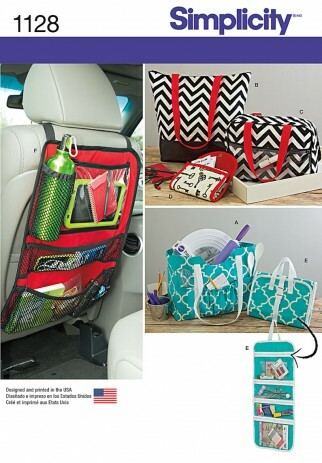 This great accessory pattern features bags an organizers for any need. Pattern includes large and small craft totes, cosmetic tote, coupon organizer, craft organizer and car organizer. Simplicity sewing pattern.